The world is in turmoil. Whether one looks at Europe, Asia, North America, the Middle East, Africa, or Latin America, uncertainty and upheaval seem to be the order of the day. Nevertheless, there seems to be an odd certainty in the minds of many pundits, writers, and citizens in this highly volatile world of geopolitics: the days of the United States as the world's sole superpower are over. The consensus tells us that the United States will not be able to keep a status as a major power among China, the European community, and a resurgent Russia. How realistic is this perspective, though? Is the "air of inevitability" concerning America's demise merely a passing breeze? How solid is the "unstoppable rise" of the Chinese? How likely is it for Europe to right its ship? 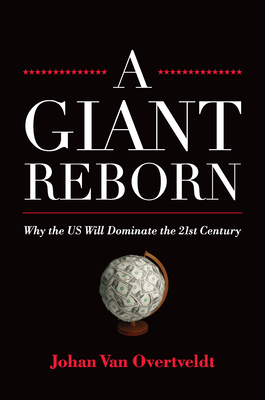 A Giant Reborn, from critically acclaimed author and leading economic journalist Johan Van Overtveldt, dispels many of these ingrained assumptions and argues that the 21st century will be defined by the country currently best set up to succeed: the United States of America. In the current chaotic political climate it seems risky to say any country will be able to maintain its current status. But Van Overtveldt provides a measured, insightful, and thoroughly engaging examination of the evidence. In his richly detailed style and straightforward explanations, he masterfully lays out a case for why America, against many pundits' best predictions, is set up to continue its 20th-century success into this millennium. A Giant Reborn shows readers that the reports of America's death, to paraphrase the father of American literature, have been greatly exaggerated. Johan Van Overtveldt, PhD, has been minister of finance in Belgium since 2014. He is an economist, journalist, and writer based in Brussels. He has published several books in Dutch and contributes to the Wall Street Journal Europe and other publications. He is also the author of The End of the Euro (Agate B2, 2011), Bernanke's Test (Agate B2, 2009), and The Chicago School (Agate B2, 2007).